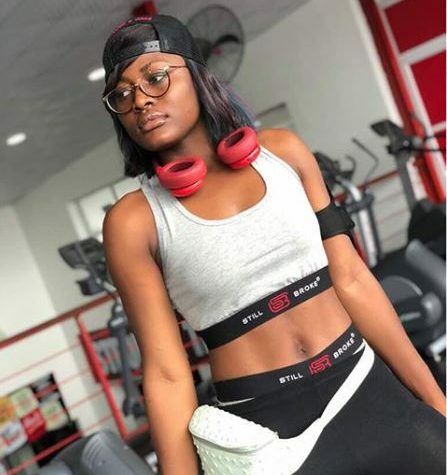 Reality TV star, Alex Unusual took to Twitter to narrate an encounter she had with a stubborn young man who asked her for help while she was shopping at a grocery store. “So today, something happened and I want to share. I went grocery shopping and a young man walked up to me with shortbread in his hand and said “Aunty please I’m hungry but I don’t have money to pay for this”. I look at his hand, he wasn’t even holding the small one 😱. I asked ” you don’t have money to buy food and this is what you pick ? How much is it ?”. He replied “I don’t know ma”. That “ma” made me feel this sense of responsibility to take care of people and i asked him to go and check the price so I’ll pay. I was contemplating. 😡Should I teach him a lesson or not ?. I wanted to say “check the price of those two items, I’ll buy you food that’s worth the same amount but I was too tired for the lesson process and my heart won’t let me ignore him. After paying, he followed me. Why!!! 😭, why was he following me!!! 😭. He wanted money for transportation. The Alex in me set in as I couldn’t conceal my utmost disgust anymore. I gave him a look that said it all and he left, surely to pester another pure heart.